Leading Manufacturer of mustard oil pet bottle and mustard oil bottle 200 ml from Ghaziabad. 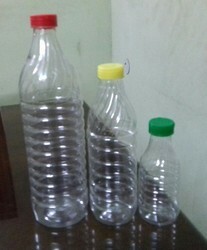 We offer a wide range of Mustard Oil Bottles, which is manufactured using high-grade plastic. These are available in different sizes and capacities and are specially used for mustard oil and other types of oil as well.